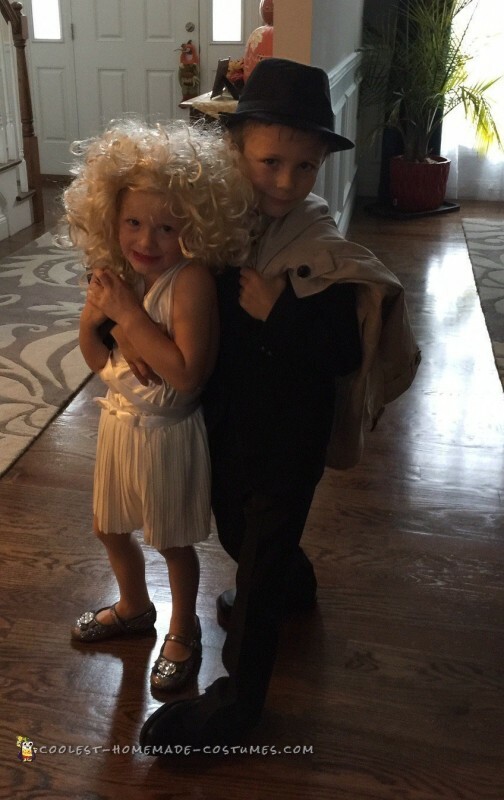 I wanted to dress up my kids (ages 3 and 5) as a couple, but have them be something unique, that I have not seen kids dressed as. So, I began looking around the house. I have Old Hollywood photos on the wall, which gave me the idea. 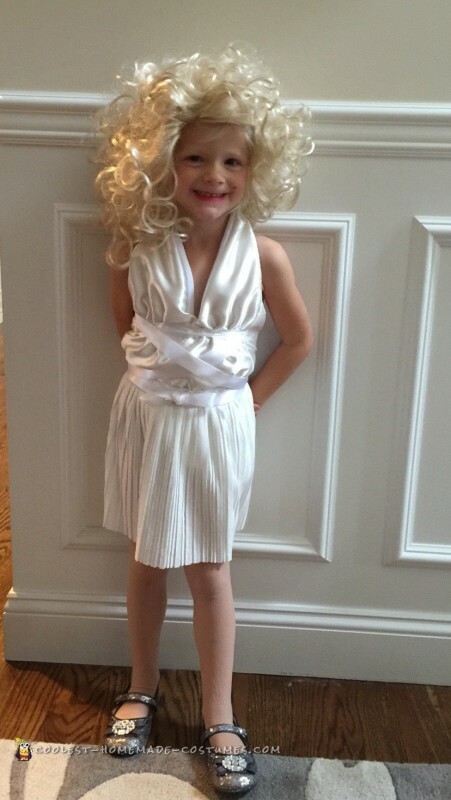 I began with my daughter, I had an old blonde wig in the basement already, so it was a no-brainer! 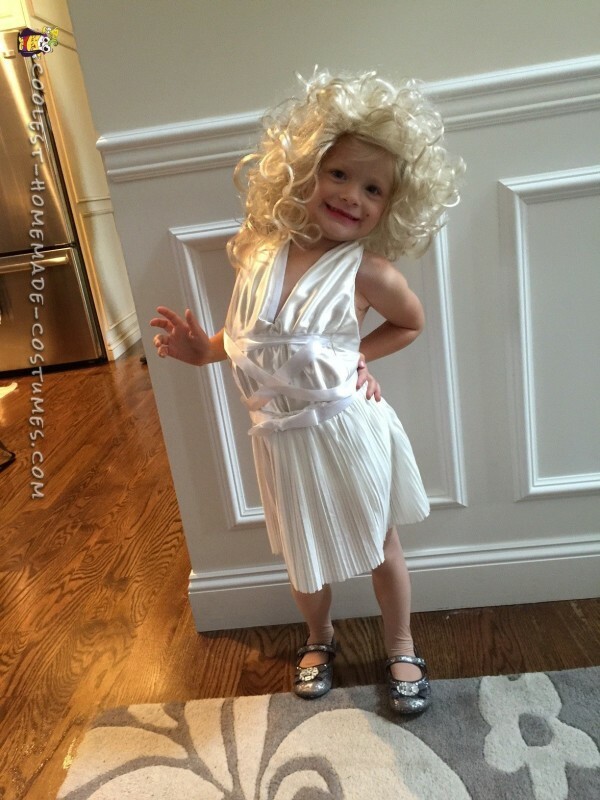 She has to be Marilyn Monroe! I looked up the famous dress online, and attempted to recreate it from scratch. I do not sew clothing, so I used her old t-shirt and cut it to shape, then bought sateen fabric and sewed to to the T-shirt. My first attempt was complete failure! After sewing pleats and the seams, I realized I did not account for that and it was way too small! I then did it again with my son’s old shirt, since it was 2 sizes larger and that worked perfect! I then added some ribbon around the waist area for detail, and bought shoes at Goodwill. A little makeup and the addition of the famous mole, and she was transformed! 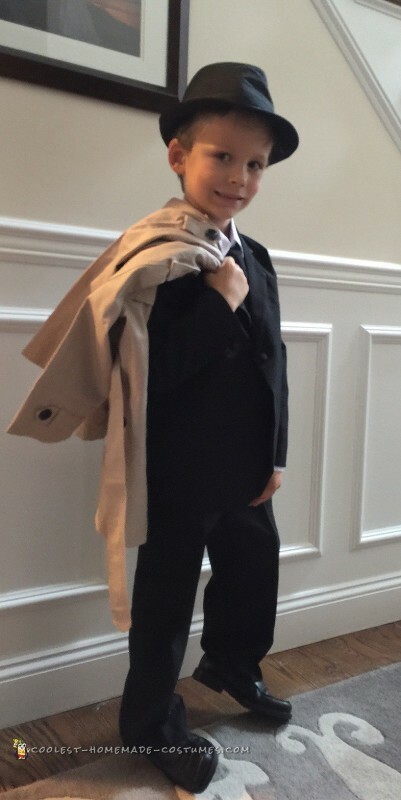 My son’s Frank Sinatra costume was created by putting together a suit outfit, purchasing a tan trench coat online, and I found the Hat on Amazon. All I had to do was spray his hair black! The kids were such a hit with all the adults! The best reaction was in front of a nursing home, they all could not believe how cute they were! I never had so many people taking photos of my children! One of the neighborhood families made my kids come in the house while they were trick or treating, to show off their costumes to the whole family! Although they were a hit with the adults, I had to laugh because all the kids kept on asking who they were! I had to explain that they were old movie stars, that’s all the explanation they needed! This was a great Halloween costume for both of my kids, they had so much fun!